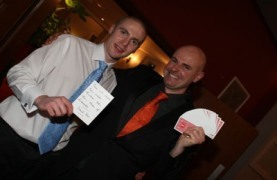 Parties are very special events and the presence of a magician will enhance the occasion. 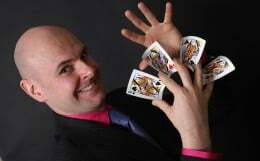 David is a highly accomplished party magician who revels in the opportunity to entertain at such an intimate occasion. Normally David begins a party with his outstanding stage show and then moves on to close-up magic. Balloon modelling is another skill David cheerfully provides. This is always a great hit with revellers, young and old alike. David's charming personality combined with his unique magical act will enhance the atmosphere at any party or social gathering. 1. David will create a unique customised 'party package' for your special function. 2. 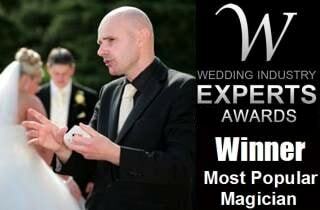 Magic is something which will enchant your guests. Take all the credit for hiring such a marvellous performer. 3. David has the incredible ability of being able to relate to people on all levels. Young and old alike appreciate his outstanding skills. 4. Make your event one to remember with a powerful tour-de-force of magic. 5. They will be talking about it for a long long time. Enhance your reputation and book David Fox for your party in the Midlands now.